Yes it's on my list, along with general purge for entities and chunks, other diagnostic, relighting (maybe), and other types of feature generation. Also I'm thinking about some kind of tagging support (either in the form of a custom NBT tag, if it doesn't cause problems, or a special block embedded in the bottom of the bedrock layer), which you would be able to to use to control chunk updates. It could be useful just as a temporary storage bit, which you could remove after you're done with all your manipulations. Custom tags would rock. Not sure of impact, but my guess is notch isn't including code to balk at unexpected tags. I wonder if Scaevolus would have any insight there. You might run the concept by him first. If you can't do custom tags, the concept of burying a block in bedrock seems okay. A chest perhaps? It has a nice generic/forgiving TAG_List you could abuse for information storage. Hey, what is that TerrainPopulated tag? If it gets set to 0 will the native algorithm kick off again and generate ore? If so, maybe I could use the Replace function you have to replace all the stuff the native generates and then let the native one generate my lapis again? Of course that would regnerate ALL ores... hrm. Interesting concept still. Any chance you'd be adding a feature where chunks can be removed that are outside a circle or, preferably, square from a set point? All of the tools follow a common set of block/chunk selection constraints. I can probably add some more powerful selection constraints including radius. Currently, you can run the existing tools on the complement of a rectangle by running 4 separate passes (with overlap) or 9 separate passes (without overlap). I'll add a flag to complement the selection so you can do this in one pass. Oh, and currently...delete is not yet available right, or did I misunderstand. It's not available yet. Only oregen and block replace are available right now. Is there any chance of this getting the function the old MinePlump had? Where it would find an existing ore deposit and increase it's size by a certain amount? That was real handy to just get a bit more ore each time you found a lode. Though I suppose you could do a couple rounds of adding ores, but doesn't that add new ore chunks, not increase the size of current ones? Same thing, I suppose. Or, just change all existing ores to stone, then add in new chunks of ore as you see fit. That would probably work, right? The next release will have the ability to do something like that (you will be able to replace blocks based on a neighbor condition, so you should be able to expand deposits out a layer at a time). Are you trying to specify block coordinates, by any chance? The c* parameters take chunk coordinates ('c' for chunk), and the coordinates you specified are out of range for the discovered regions. I actually have block coordinate options implemented that will be in the next release, but in the meantime you could just divide by 16 and floor the result. Yea that explain it, maybe this show you need better description for those , like in parenthesis say "not block coordinates". Ehm, a space in your world name seems like a bad idea..
You need to use the absolute path to the world directory (in ""s if there's spaces anywhere), the tool will not fill in the default save path. You might need the whole path to the world, but at least you'd need quotes around it. Is it possible to set this to generate ores in blocks other than stone? 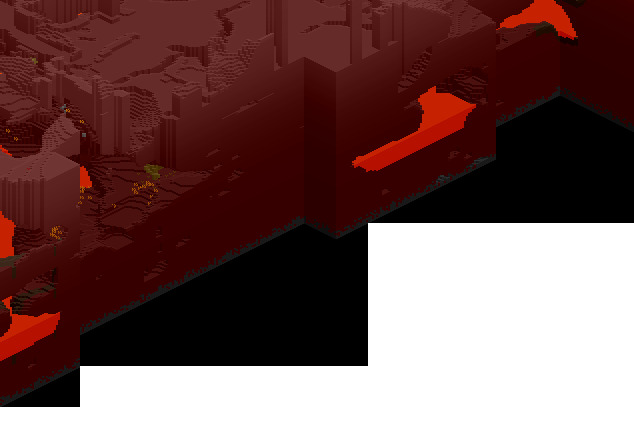 Namely populating a nether map with ores. However you'll need to temporarily copy your level.dat file into DIM-1 in order to do updates on the nether. Thanks. Generating a nether map separately from a normal map is a separate project I'm also looking into. I (hope) to set this up as its own server, linked to a normal server, so said normal server can have its own extra-lucrative nether dimension. You made a small error in your command. The -oo flag just overrides existing ore blocks (in addition to stone). The -oi flag (which is repeatable) is used to override a specific block type. So all I have to do is change -oo to -oi? Will attempt. E: did exactly what I wanted it to. Woo! Gah! Command line prgrams don't work on my 64-bit pOS! What OS? I just had it work perfectly on Win7 x64.